This Home-for-All for children is a small building in the temporary housing complex where roughly six hundred families live. 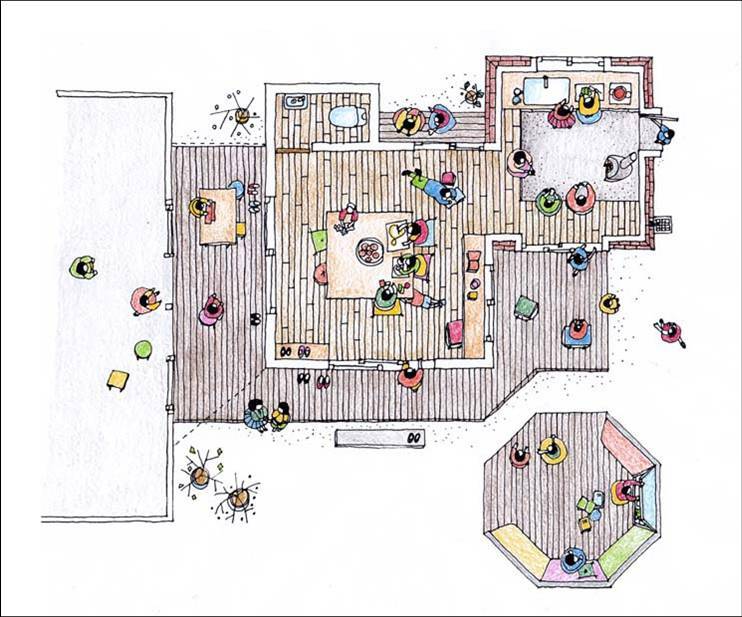 The structure is cosy and fun and was designed as a place that could feel like home for the children, a place of warmth and fun amongst the temporary housing. The building was designed in summer 2012 by Toyo Ito. He visited the site, spoke to officials and deliberated hard on the design with input and cooperation from local residents. Three distinct houses make up the complete structure, with a large table at the centre to bring people together as well as a wood burning stove. Wheels can be attached, meaning the house can be moved to various locations. Each house has a distinctive roof built with natural materials such as wood and slate and aluminium. The houses are distinct in the hopes that children will nickname them. Reflecting the variety that can be found in a small town there lots of different angles and connections in this structure - spaces are broad and narrow, light and dark with many different edges and spaces. I was allowed to supervise the building site from the very beginning of the project and borrowed a room in the temporary housing area. I was always greeted warmly and would stand talking and drinking with local families. 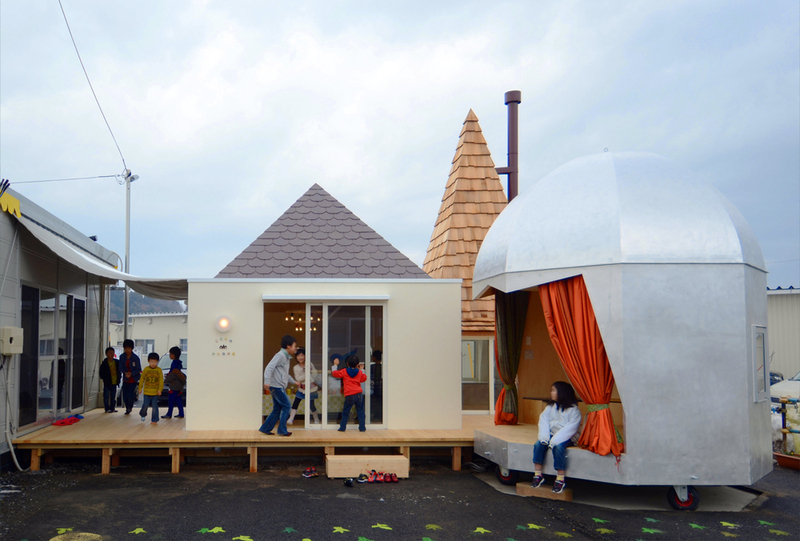 As the building took shape around people's daily lives I could watch as children came to play on the site. The local residents accepted us willingly and welcomed us. I would like to thank the residents and extend my warm feelings to everyone who helped to bring this HOME-FOR-ALL to life. Upon completion I can see the children running around smiling which is a great pleasure. I hope that in the future the building is used not just by children, but is seen as a place for everyone to feel free to stop by - a place where people can talk and hope for the future.